A while back the 409Shop posted a teaser for a V689U digital radio and some folks pointed out that it might be a Kirisun radio. "The transceiver is a micro-miniature multiband FM transceiver with extensive receive frequency coverage,providing local-area two-way amateur communications along with unmatched monitoring capability." Number 17 is a good sign - firmware updates! What codec would that use? Im guessing not AMBE (unless chinese reverse engineered it already). Even if it was AMBE it doesnt look to be compatible with DMR. So the question is - can it talk to anything other than itself? The standard this radio is using is the same as dPMR / DMR Tier 1, FDMA. It will NOT talk with DMR Tier 2 radios (TDMA, 2 time slots). It will only talk to other DMR Tier 1 radios, such as the ICOM dPMR radios which are only used in Europe. And, if it weren't for the difference in bands, it could talk to the Hora HR-79D / Luiton DG-79 too. To the best of my knowledge the codec used is AMBE+2. Do you really think they licensed AMBE? This radio is half the price of usb dongle. Besides Chinese are not known for not advertising features. It would be written in bold letters on every side of the box if there was even a slight chance of compatibility. I have a suspicion its using some chinese proprietary vocoder that works only with itself. They went out of their way NOT to mention vocoder. No dPMR, no NXDN, no nothing. You might be right, but this is what one Chinese merchant told me. To be honest, they didn't always prove to be honest to me. That's not always on purpose. I found out that it's unwise to ask questions to Chinese merchants which can be answered with "Yes" or "No. Because in the Chinese culture it is very impolite to say "No" to a guest or customer the answer is often "Yes", whether it is the truth or not. I guess we won't know for sure until we get our hands on one or two. There is a Dutch ham who ordered a pair. I'm sure he will share his knowledge when the radios arrive. But cheap digital radios are good for the hobby! It would be a nice one if they are DMR compatible. I think CMX8341 is used or replica, cheap dPMR ic without vocoder License. I inquired to Kirisun directly about this radio earlier and was told that the programming software is available from Kirisun via e-mail. In regards to the speaker mic jack, "The digital portable radio doesn't accept "K" type, The connector port of digital portable radio is same as HYT TC-500S"
"I think CMX8341 is used or replica"
Do you see this chip in the radio? 409 shop has a lot of models now. They have a S780, S760, S785 (no keypad) V688, and V689. Literally adding new ones to the site every day. 409 also said on their website that the S780 takes a Motorola 2 pin connector for programming and headset. I cannot tell the difference on the S760 and S780 other than cosmetics. Kirisin does not have them on their website. This is a quick test with S780. I just ordered three radios. S785 S760 S780. The software is now available on 409's website. Could someone tell for sure which codec is used in this radio ? Wondering why kirisun do not have them on the website? Sent a question of programming software a week ago. Got no reply. I wonder if this is compatible with the Yaesu FT-1DR? 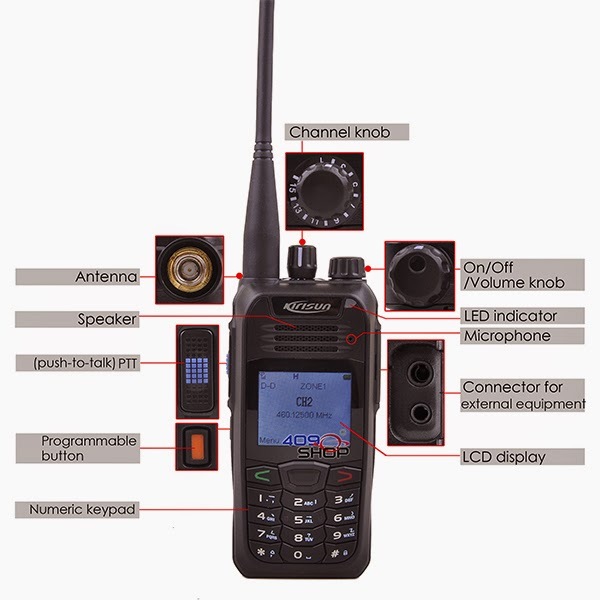 I'm very interested in these radio's, however I would like t know if they are compatible with the UK spec 446 DPMR standard in terms of the channels spacing etc. Also, has anyone else had audio issues wit their radio?? Is there a VHF version of this radio? 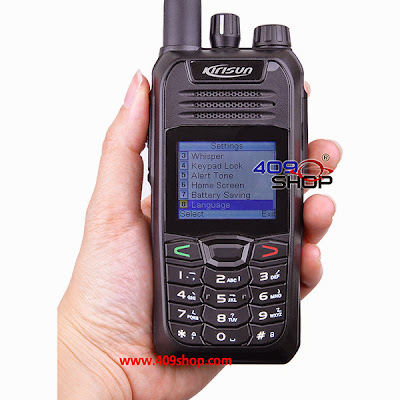 Yes their is a VHF in this radio model is K800, I have three of them and they work great.